Welcome to the Broadstone Music Series. We present to our audiences an annual series of musical events throughout the year, dedicated to the highest standards of excellence and providing performing opportunities for young aspiring musicians alongside renowned professionals. It is our goal to integrate professional musicians including those in the Bournemouth Symphony Orchestra, with young talented musicians through workshops and joint performances. This idea evolved as many local talented young musicians historically further their studies at Music College or University and so it is advantageous to give them a performance platform at home. The community also benefit from hearing them. We exist under the title of “Poole Society for Young Musicians”. 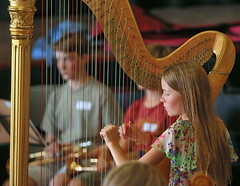 We consider it important to include as many Master Classes and workshops as possible, given by specialist musicians to help inspire the young musicians who are still at school, giving them a unique experience that will help them to improve their musical skills.